Ranthambore National Park is one of the famous national parks of India that attracts wildlife enthusiasts from around the world. Every year, lots of tourists from the country and abroad visit this national park to see wilds in the woods. 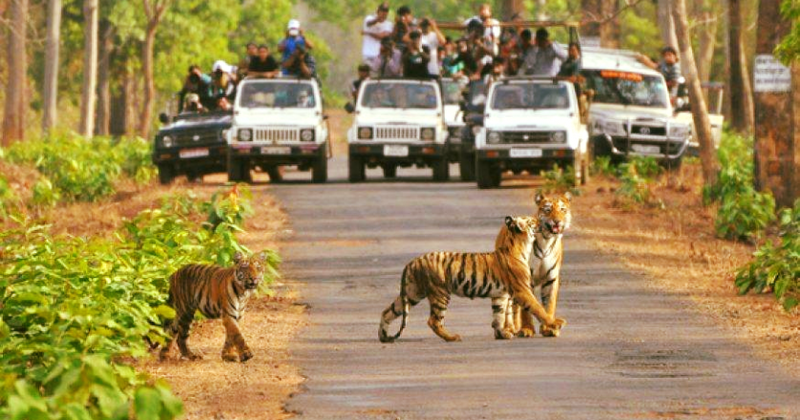 Ranthambore National Park, one of the largest and the most popular national parks in the Northern India, is the perfect synonym for the wildlife tourism in Rajasthan. 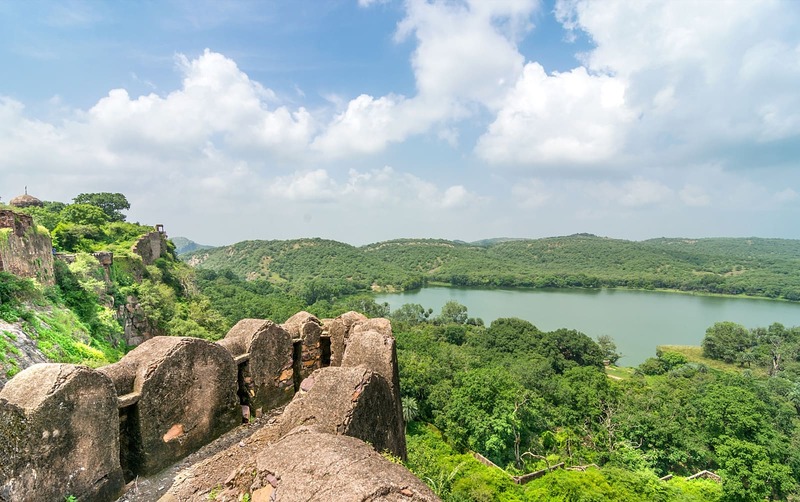 Located in the Sawai Madhopur district of Rajasthan, Ranthambore is just 180 km away from Jaipur (being also the nearest airport to it) and 110 km from Kota. The nearest station from Ranthambore is Sawai Madhopur. Entering into the Ranthambore zone of an area of 392 sq km is an easy way to visualize tiger everywhere as it is known for the biggest tiger populations in India. The park is best described as the perfect wildlife reserves in India to be best described as the "tiger friendly land" that proudly preserves the most recognized tigers in India which are called by their notable marks on their body and best identified through their ruling territory. The dense undergrowths bring the perfect backdrop to allow a creeping hunt of a tiger in the eternal arena. It is the only land in India where plenty of mother and cub tiger groups can be easily found. Day 1: Welcome and Arrive Jaipur Airport/ Railway Station and meet our Local Representative who will transfer to the hotel, Enjoy Albert Hall, Birla Mandir, Moti Dungri Ganesh Temple, Great Evening & Local Market of Pink City. Overnight at hotel in Jaipur. Day 2: After breakfast, proceed to tour of Jaipur. Jaipur- the capital of Rajasthan was given a colour coat of pink a century ago in honour of a visiting Prince and ever since, it has retained this colour. Built by Maharaja Jai Singh, the notable astronomer, this city is 260 years old. Visit Maharajas City Palace, the Observatory Visit the Sheesh Mahal or the Hall of Victory glittering with mirrors. Jantar Mantar, proceed to Amber Fort, built in the 16th century, enjoy an Elephant ride (By Own) at Amber. Photo Stop at Jalmahal, Drive past the Hawa Mahal. Overnight at hotel in Jaipur. Day 3: After Breakfast, Check out From Hotel and Proceed to Ranthambore, Check In Hotel and Get Fresh up. 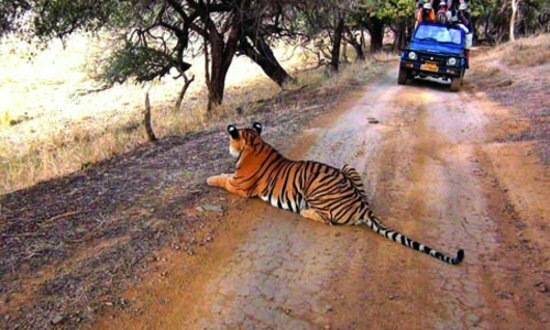 Proceed for Sight seen visit to Ranthambore Fort, World Famous Ganesh Temple, City Tour, In Evening Back to Hotel Take a Delicious Dinner. Overnight Stay at Hotel. Day 4: Early Morning Go For the Jungle Safari by Canter for the Memorable Experience of Wildlife. 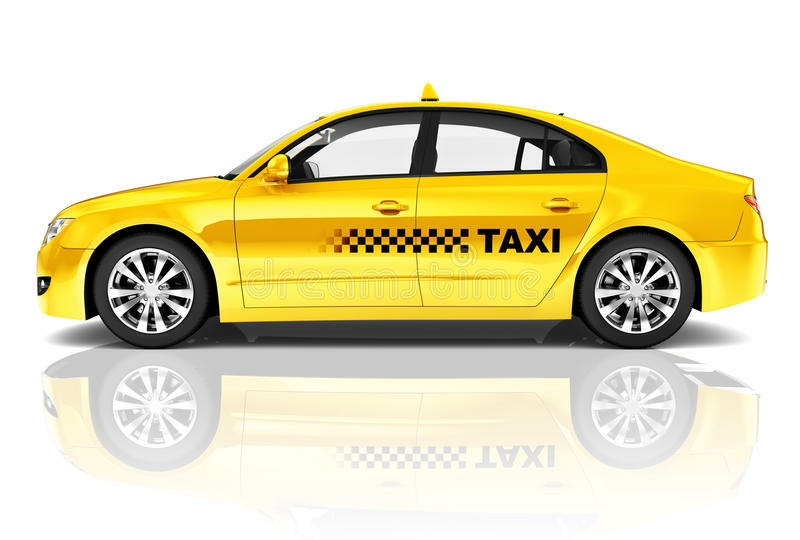 After Come Back from Jungle take Breakfast and Checkout from Hotel, Proceed for Jaipur at Airport/Railway Station. Morning transfer to New Delhi Railway station time to catch train for sawai madhopur. On arrival met and transfer to the Wildlife Resort. After Lunch we will take you for game drive into the national park. O/N stay at Hotel. Early morning Game drive to Ranthambore National park. In the afternoon transfer to Sawai Madhopur station time to catch train for Delhi. Arrive Delhi late in the evening.